ISR brings forth another NI Massive preset collection especially for you Dubstep heads looking to add hard hitting sounds in your tracks or remixes. Understanding the true need for certain sounds in Dubstep was essential when making this kind of pack so when we asked producer, remixer and sound designer Nebulla to share his slamming studio presets it was a no brainer for us. Nebulla is also the owner of Code Of Arms Records in New York and is responsible for for fusing Dubstep and hip hop with his Enter The Dubstep compilations for I Hip Hop which included remixes and new productions for the WuTang Clan and Brand Nubian. He also produced our Climb pack with Lenny Dee. This perfect selection of presets contains womp sounds, wobbles, sub bass, climbs, falls, sweeps, synth bass, chainsaws and of course talking bass sounds all exclusively made for Dubstep's number one weapon of choice Massive. Nebulla put together these 41 patches with one goal in mind, to unleash real deal patches which are totally usable and cutting edge for any modern Dubstep production. We even threw in 15 audio and 20 bonus Massive effects patches from our Climb and Sweep packs to sweeten the deal further, so you get a total of 61 patches to put some step into that dub. This versatile soundest offers 39 new dirty wobbles sounds all keyed up in NI's Kontakt sampler. The pack also contains 39 audio one shots for use in any other sampler or Daw. The wobble sounds are not from the Massive soundest so you have 39 new sounds to tare into. 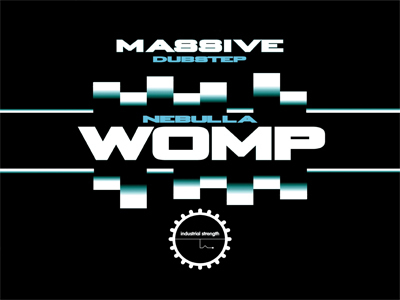 Womp delivers everything you need in one soundest to start making the hottest Dubstep riffs come alive. Just load the presets in your Massive folder and start rocking the hell out of each sound ! If you liked BHK Massive, Bhk SE3, 6Blocc Dubstep Ammo, Bhk SE4, Climb, Sweep and Bomb then get your groove on and pick up this incredible pack before your mates do !